Theresa May’s office says the British prime minister will skip the World Economic Forum meeting in Davos, Switzerland, next week to focus on resolving the Brexit crisis. Britain’s Brexit process is gridlocked, 10 weeks before the country is expected to leave the European Union on March 29. May saw her Brexit deal rejected by Parliament and narrowly won a no-confidence vote this week. She was meeting Thursday with opposition leaders and other lawmakers in a bid to find agreement on a new Brexit plan. May is due to publish a revised Brexit blueprint on Monday, before Parliament debates it on Jan. 29. Britain has put military reservists on standby for permanent service in the event the country leaves the European Union without a divorce agreement to smooth the way. A cliff-edge “no-deal” Brexit on March 29 could bring gridlock at ports and disruption to the supply of goods because of the sudden need for customs checks and other measures. The Ministry of Defense has said 3,500 soldiers will be available to help if needed after a no-deal Brexit. Germany’s parliament has approved legislation regulating a putative transition period following Britain’s departure from the European Union, a bill described as obsolete by an opposition lawmaker. Lawmakers passed legislation Thursday under which Britain would essentially still be treated as an EU member during the nearly two-year transition foreseen by the withdrawal agreement that the British Parliament rejected this week. It’s unclear whether and to what extent that deal can be salvaged. But Florian Hahn, a lawmaker with Chancellor Angela Merkel’s center-right bloc, said authorities want to continue preparing for all eventualities and it’s a signal that Germany wants to pursue the deal. The prime minister is meeting with various opposition parties as she seeks a consensus in Parliament on how to proceed. She has thus far ruled out a second referendum. Germany’s foreign minister says a delay to Britain’s withdrawal from the European Union could be considered only if Britain first clearly states where it is heading. Britain is currently due to leave the EU March 29, with or without a deal. An extension would require approval from the other 27 EU countries. Foreign Minister Heiko Maas told Germany’s parliament that the EU is prepared to consider carefully a new British proposal but it’s “barely conceivable” that the withdrawal deal rejected by British lawmakers this week could be reopened. He added that “a clear perspective” from Britain was needed “to answer the question of whether and how long” there could be an extension. Britain’s main opposition leader says Prime Minister Theresa May’s offer of cross-party talks on a new Brexit deal is a “stunt” because she will not rule out leaving the European Union without an agreement. After May’s EU divorce deal was resoundingly rejected by Parliament, she said she would talk to opposition leaders and other lawmakers in a bid to find consensus on a new plan. But Corbyn said that May has shown no sign of lifting her “red lines,” which include leaving the EU’s customs union and single market. The British Parliament expects to vote on Brexit again on Jan. 29 following extended debate on the government’s plans and possible amendments. Leader of the House of Commons Andrea Leadsom told Parliament Thursday that the date has been set aside for a full day of debate and voting. Prime Minister Theresa May plans to return to Parliament on Monday to present her revised Brexit plan following the crushing defeat of her withdrawal plan. She will announce her “Plan B” after meeting with a variety of opposition parties in the coming days with the goal of finding some sort of consensus. Main opposition leader Jeremy Corbyn of the Labour Party has thus far declined to meet with the prime minister. The European Union’s Brexit negotiator says he hopes British Prime Minister Theresa May’s consultations with national political leaders can help break the deadlock over the terms of the U.K.’s departure from the EU and herald “a new stage” in Brexit negotiations. Michel Barnier said Thursday that “getting an agreement is in everybody’s interest” and that “something has to change” to secure a divorce deal. Barnier says he hasn’t spoken about the possibility of postponing Brexit because the March 29 departure date was chosen by Britain and is written into U.K. law. 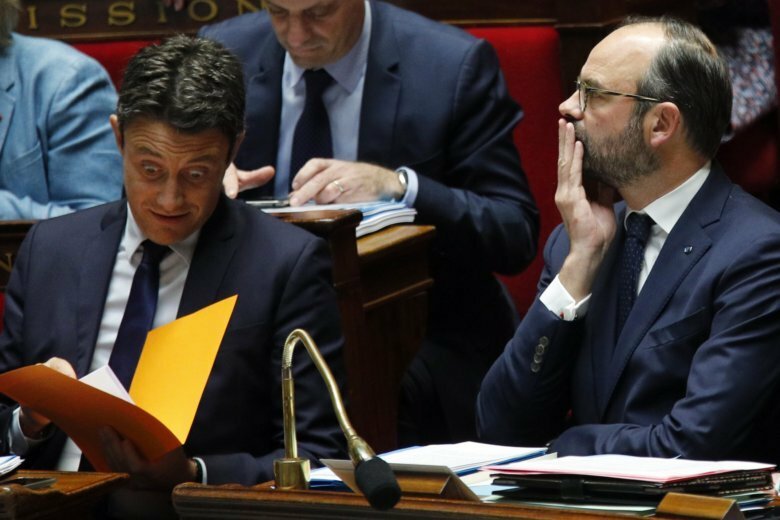 France’s government is kicking off a 50 million-euro (about $57 million) plan to prepare for the increasingly likely possibility that Britain will leave the European Union on March 29 without a plan. French Prime Minister Edouard Philippe announced Thursday that the government will start hiring 600 extra government employees including customs agents to handle cross-border trade and security. He said the plan also includes money for airports and ports, which are “most concerned” by the prospect of a so-called hard Brexit. He said “we strongly believe” Britain will leave with no exit deal, notably after the British parliament this week overwhelmingly rejected a divorce agreement worked out with the EU. France’s parliament approved a special law this week allowing for the government to impose emergency measures to deal with a no-deal Brexit. The European Union’s Brexit negotiator says the U.K.’s so-called red lines on how much ground it is willing to give in negotiations for its departure from the EU have “shut doors” to a broader agreement. He told lawmakers in Lisbon, Portugal that the withdrawal agreement is “balanced, respectful,” adding that the EU hadn’t reached such an “ambitious” agreement with any other non-EU country. In general, EU negotiators have found Britain to be inflexible in its desire to retain some of the economic advantages of trading freely with the bloc’s countries while ending the free movement of European citizens into Britain and abiding by other EU guiding principles. Barnier was in Lisbon on a longstanding invitation to meet with local officials. Barnier said Wednesday in Strasbourg that he was more concerned than ever about the possibility of Britain leaving the EU without an agreement following Tuesday’s parliamentary defeat for Prime Minister Theresa May’s divorce deal. France’s prime minister is a holding a special government meeting on how his country will cope with a possible “no-deal” Brexit. Britain’s Parliament rejected Prime Minister Theresa May’s Brexit deal with the European Union on Tuesday night. Opposition leader Jeremy Corbyn immediately called for a no-confidence vote, but May’s government survived it on Wednesday night. British Prime Minister Theresa May is reaching out to opposition parties and other lawmakers in a battle to keep Brexit on track after surviving a no-confidence vote. European Union countries are also debating Thursday on how to move forward now that the U.K. Parliament has rejected May’s Brexit deal with the bloc and with the March 29 exit date looming. Parliament overwhelmingly rejected the deal on Tuesday night, in a crushing defeat for May. Opposition leader Jeremy Corbyn immediately called for a no-confidence vote, but May’s government survived it on Wednesday night. May invited opposition leaders for talks about how to secure another Brexit deal and avoid leaving the EU without a deal. But Corbyn has declined unless May takes the “no-deal” possibility off the table.